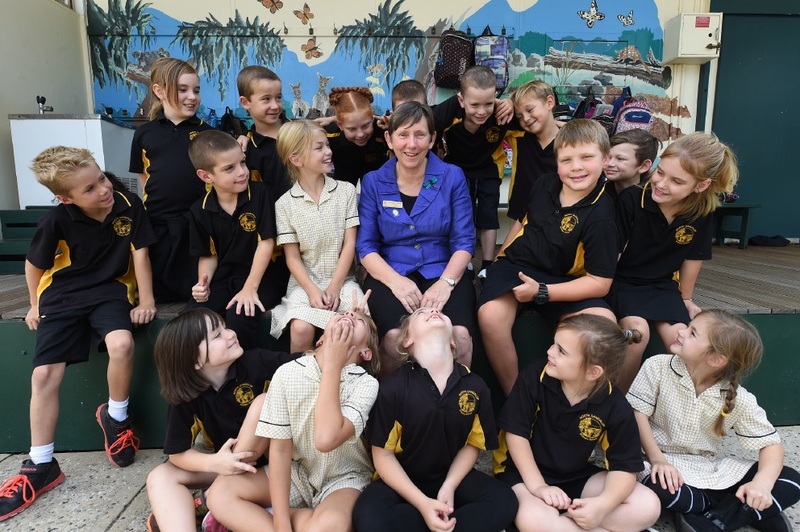 North Dandalup Primary School principal retires after 42 years. After so many years of continued service, the final school bell rang for Mrs Jones on Friday after she retired for some well-deserved rest. Mrs Jones has been at North Dandalup Primary School for 18 years and has also taught at schools in Cooloongup, Baldivis, Northam, Darkin, Kalgoorlie, and Mt Magnet. Mrs Jones said she had enjoyed her time at North Dandalup. “We have planted 35,000 trees in the local community in the past 17 years,” she said. Mrs Jones said she was sad to be retiring, but was also looking forward to relaxing. “I hope to do photography, some volunteer work and also have a trip to Africa planned,” she said. * Mrs Jones said schools have become better resourced in the past 40 years. * She is anxious about the Education Department’s testing regimes. She said tests such as NAPLAN were a government driven tool for collating statistics, which she did not think should be made public. * Mrs Jones is concerned children do not have time to appreciate what’s around them. * Mrs Jones said if children did not learn handwriting, they would not learn “much else” due to the development of fine motor skills. * She is concerned children are growing up with too much change and they are pushed too hard.